Following a lot of preparation on composing and drawing a new botanical art picture, I spent the day starting the watercolour painting as a demonstration for the SFP. The day dawned sunny and warm; the first nice day for a while. Watching the weather forecast as I write this, it reverts to cooler and wetter weather for a few days! 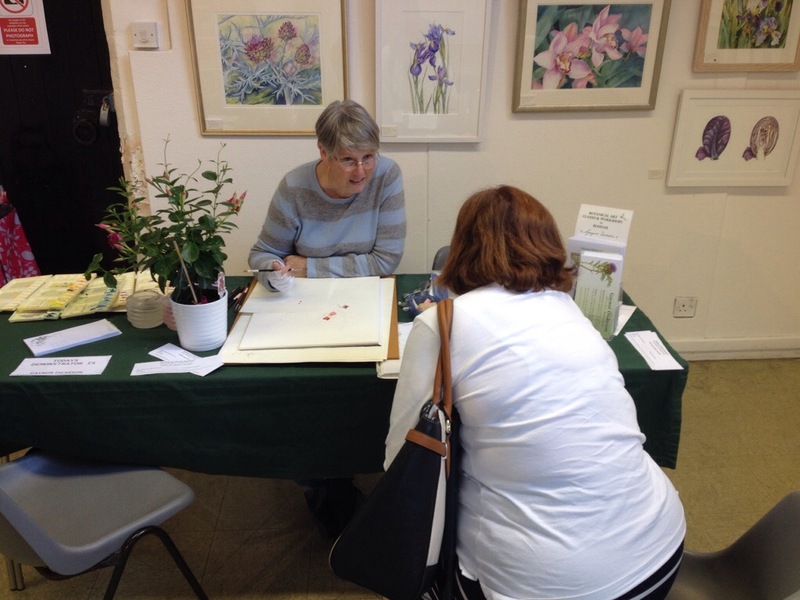 Has spending the day inside demonstrating botanical art been worth it? I am told that the SFP exhibition at the Oxmarket in Chichester, has attracted a lot of visitors. Visitors who I spoke with today, found the exhibition to be very interesting and many were amazed at the variety of floral painting; from very loosely painted Irises in oil, through the tighter botanical art, to strict botanical illustration. There is something there for everyone. From previous experience, I knew that even though warm outside it can be cool sitting and demonstrating. I was well prepared. We didn’t have huge numbers of visitors and I am told that Sundays do not seem to attract the crowds. However there were quite a few people interested in my demonstration and I was able to talk a little of what I was doing. The following is pictures from today finishing off with what I have done so far. The plant is a Mandeville, or Dipladenia. – preparation for the Garden Show at Stansted House (http://www.thegardenshowonline.com/gardenshow_stansted/) this coming FRiday, Saturday and Sunday. We have a stand there for the first time. Do come and support us. I intend to demonstrate some more. 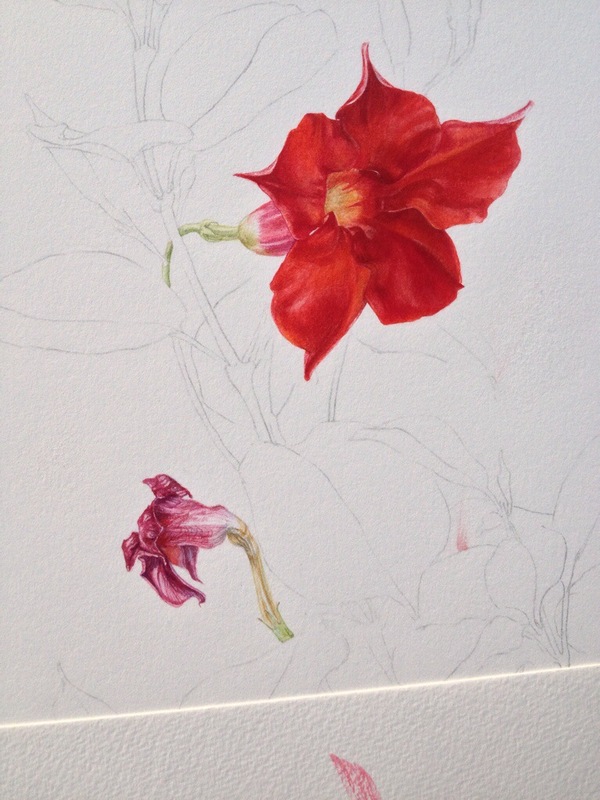 < Botanical art workshop today – demo tomorrow.